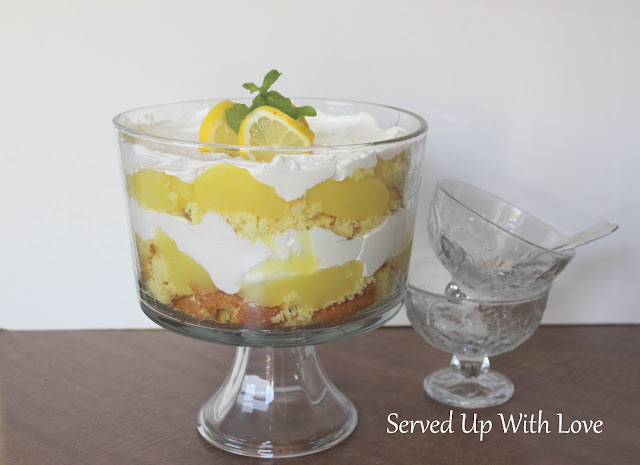 This Lemon Pie Trifle is about the easiest dessert you could make. It is the perfect dessert to take to any gathering. If you have been following me for a while you already know how much I love lemon. I had these ingredients on hand and decided I needed it was time to whip up a quick and easy dessert trifle. 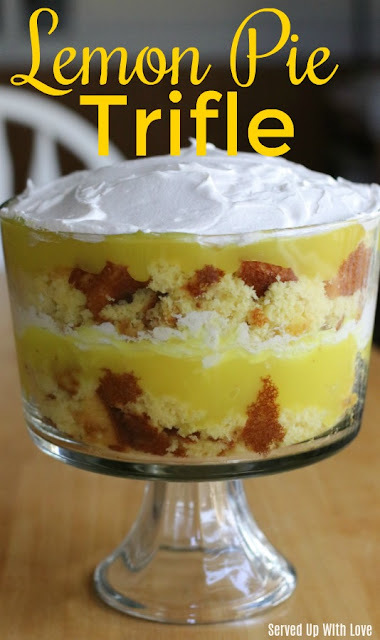 Trifles are so easy to do, just a few ingredients and you have an awesome dessert that will wow all your friends and family. I literally threw this together in minutes. Now that is my kind of dessert! Mix and bake your lemon cake, allow to cool. 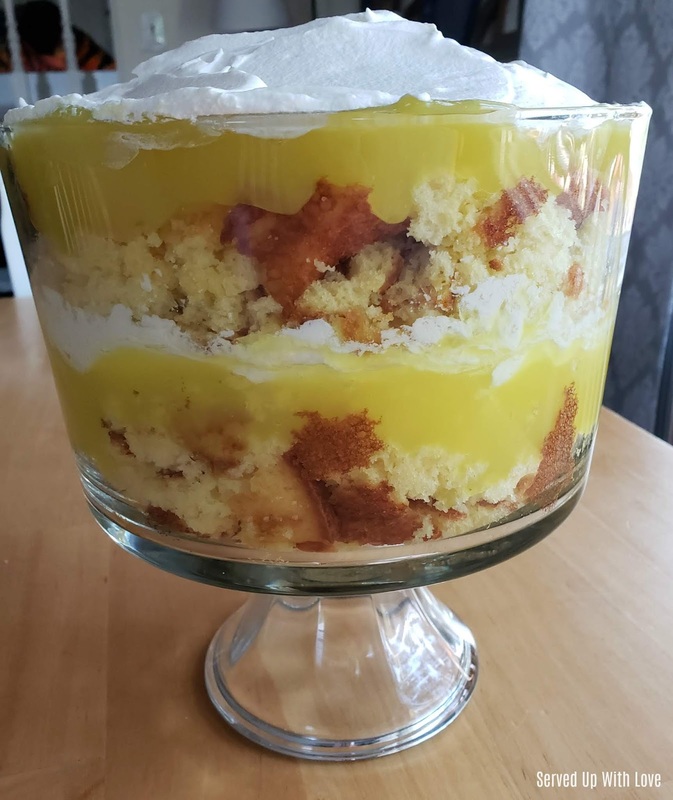 Once cooled, make small slices of cake and crumble in the bottom of a trifle bowl. Top with lemon pie filling and then whipped topping, repeat layers ending with whipped topping. Refrigerate until ready to eat. I'll be bookmarking it and checking back often!